The Easter weekend saw several veterans visit Shoreham to help launch the Museum 2017 season in wonderful style. 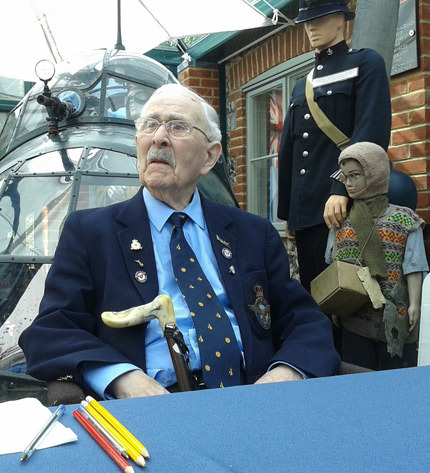 On Saturday 15th April, Flight Lieutenant ‘Bob’ Hughes DFC, made a return visit to Shoreham after nearly 30 years. He attended the opening of the Museum in 1988 and was delighted to be back where once again he proved to be a popular visitor. Bob served as an air-gunner with the night-fighter Blenheims of 23 Squadron during the Battle of Britain. He later went on to complete 2 operational tours on bombers and earned a well deserved DFC. 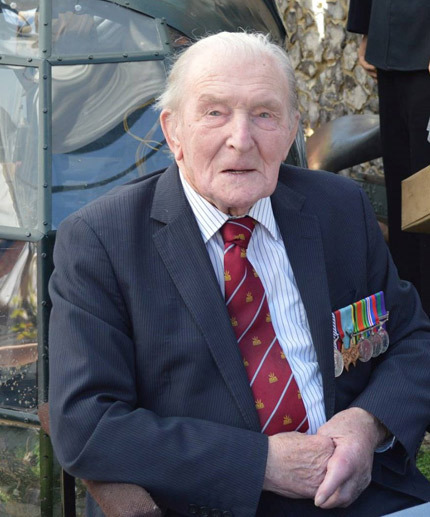 On Easter Sunday, Shoreham was privileged to welcome on his first visit to the Museum, the last surviving British 617 Squadron ‘Dambuster’ veteran, Squadron Leader ‘Johnny’ Johnson DFM. He was the bomb aimer with Lancaster ‘T for Tommy’, which attacked the Sorpe Dam. Johnny went on to enjoy a long and distinguished RAF career. 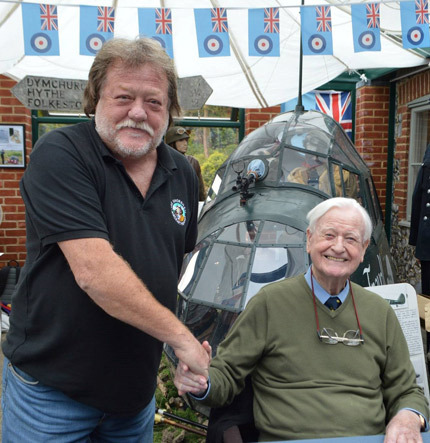 On Easter Monday, the well known Battle of Britain and Malta Hurricane ‘ace’, Wing Commander Tom Neil DFC & Bar, (a Shoreham ‘regular’), kindly attended to meet and greet many visitors and sell a good pile of his varied and splendid books. That rounded off a superb holiday weekend and greatest thanks goes to Bob, Johnny and Tom for coming to Shoreham with additional appreciation extended to their family members and friends who carried out ‘taxi duties’. A thank you too for Museum and Tearoom volunteers for helping to keep ‘control’ and ensuring the teas and cakes kept flowing! Lastly a thank you to all Museum Friends, supporters and visitors for supporting the events by coming to meet our veteran heroes and helping to raise much needed funds for Museum projects. Written on Monday, April 24th, 2017 at 8:19 pm.